This is the first year I've started to hear myself say the things my mum and her friends used to say to me; Those lines that would make me roll my eyes and shrug in disbelief, as I believed I had aaaages before I had to worry about fine lines, age spots and sagging. I hit 30 a few months ago and the process seems to have sped up! I've got white hairs sprouting out the top of my head, I'm noticing my hands aren't as soft as I've always been complimented on (I blame the endless washing up these days) and fine lines are starting to creep up on my forehead (even though people tell me they can't see them!). So from now on rather than dye my hair for fun, I now will be doing it out of necessity, and creams I always leave on my bedside need to actually be used. 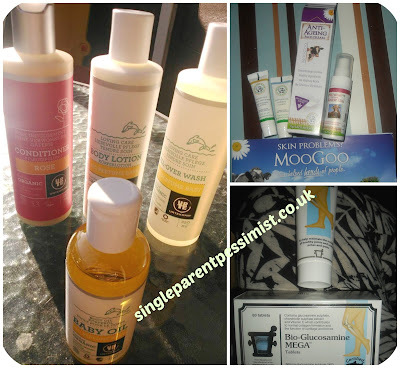 In a bid to try to slow down this awful process I've got myself a few different creams and products to see if they will help and here's what I've got! I ordered the Ahava Night Mineral Makeover Kit as it can help with dark spots, and I've got a couple of scars I want to try to lighten. The kit includes an Age Control Even Tone Moisturiser, Bright Nights Night Mineral Makeover and Age Perfecting Hand Cream. I loved the moisturiser because as strange as it sounds it did 'wake' my skin up. I like to put it on after I've been out in the sunshine as it makes my face instantly feel hydrated as I find the sun dries it out, and it has a really nice scent which is an added bonus. The hand cream was by far my favourite as it instantly made my hands feel softer and they looked shinier. I took a photo of both hands (left has cream on, right doesn't) to show how quickly you see an effect! 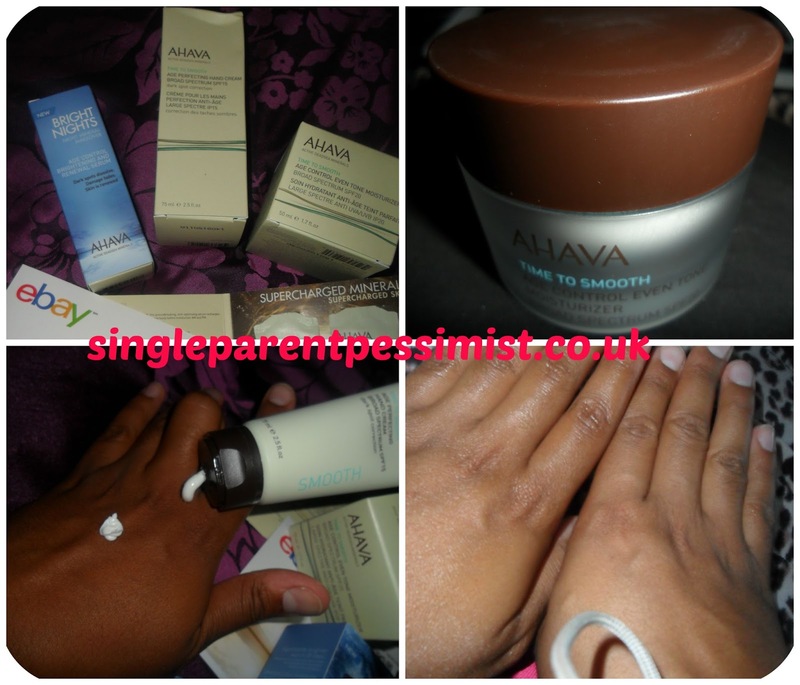 Ahava have a huge range of products and kits, and these products consist of minerals and ingredients from the Dead Sea which are supposed to be good at rejuvenating our skin. At the moment their Ebay store is having up to 50% off their products so I would go take a look if I were you! 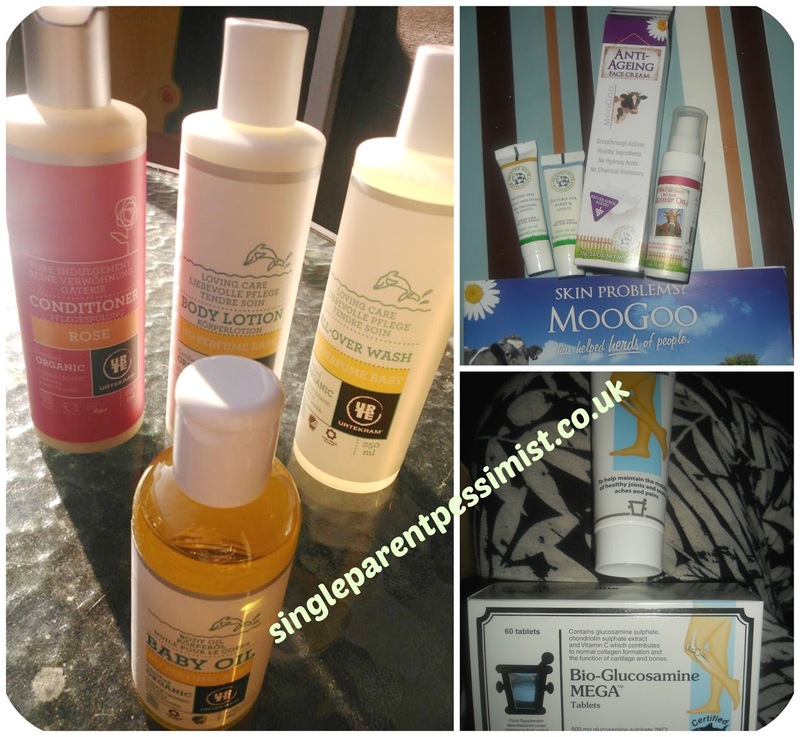 This company create a range of beauty products that can help conditions such as eczema, psoriasis, acne, dry skin, yeast conditions and even baby skin conditions. It started out as a company that created cream for humans from a cream made to protect cows udders and it then went onto creating a lot of other creams using high quality ingredients. I have been trying their Anti-Ageing Face Cream and Rosehip Oil because this is supposed to be good for a range of things including fine lines and boosting the antioxidants in your skin. The Anti-Ageing cream targets sun damage, which at the moment is perfect for me as I'm spending a lot of time outdoors and lounging around in my garden with Chunk! The cream is thick when applied, but doesn't feel heavy on the skin, and it has a light scent which is quite refreshing. The Rosehip Oil is not as nice a smell, but it has so many amazing qualities that it is definitely becoming a staple in my cream selection. Urtekram are a Danish company that specialise in organic beauty products and I've been sampling their Body Lotion, Rose Conditioner, Baby Oil and Rose Deo Crystal roll on deodorant. Organic products can be very hit and miss I find, but thankfully these were quite good! The lotion smelt delicious and felt soothing on my skin, and the roll on didn't irritate me after a shower and shave like some can! I've got a competition to win a bundle of their products at the moment which ends in one week, so feel free to enter here! I've always had a problem with my joints, because I have Hypermobility Syndrome, and as I'm getting older I need to take even better care of my joints, so I am trying Pharma Nord's Glucosamine cream and tablets, and I'm so far impressed. The cream is brilliant because if I'm having a particularly painful day I can rub it into the specific joint for fast relief. This is now a staple in my handbag! If you can recommend any products to help this ageing lass, please comment below!